paras, 24 May 2014my friend its amzng phone ..no hangging prblm no lags ...smooth ...dont go fr turbo....how about high-end gaming and camera quality? Faiz, 13 May 2014I want to ask for those who have actually taken Xolo Q2500 and observed it's dimension. 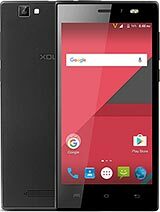 Is it ... moreno the original dimensions are (168X83X8.5) really good phone in this price range...really next level phone. If any non removable battery phone hangs(nothing working)then leave it alone so that it can juice up whole battery and then restart the phone after charging. Don't run to service centre they will make u irritated. 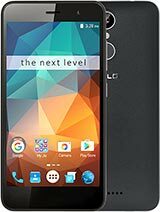 one major drawback i observed in my 7days experiance is ,its touch is not rally responsive as ,its felt lagging also sometimes u need to touch any icon 2-3 times to open it.....beleive me its my personal experiance.all other features are above average for it ,neglect audio quality.whn i contacted service centre noida sec 18 they said its in its best state but if u not satisfied we will send it back to company for rechecking...nd promised that i will get back in 15 days approx. Faiz, 13 May 2014Also if Xolo Q2500 hangs, how to restrat phone as battery is Non-Removale??? 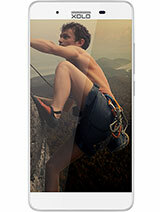 Thanks, -Faizhold power key for 30 seconds phone will give you hapticfeed back . 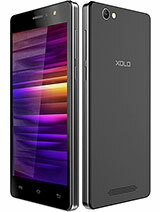 Also if Xolo Q2500 hangs, how to restrat phone as battery is Non-Removale??? 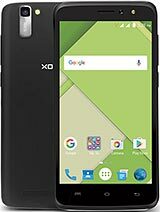 I want to ask for those who have actually taken Xolo Q2500 and observed it's dimension. Is it really (64.6 x 136 x 8.9 mm)??? Reason of asking this question is that it's screen display size is mentiontioned as 6.0" inch...I compared it's dimension with other 5.0 inch phones...but still Xolo Q2500 dimensions are less (I mean Xolo Q2500 looks physically small) than 5.0" inch phones...Please let me know. sam, 11 May 2014This ph is the best best ph yaa it's little bit heated but it's normal now a day every ph have... moreI have two question plz clarify any one about Q2500? 2. If it will hanged how will switch off the phone and resolve problem? This ph is the best best ph yaa it's little bit heated but it's normal now a day every ph have this problem.. I phone 4s or5c have same problem or its not a big deal... Best processer no hanging prob good camera and one of the best thing screen size and touch or picture quality to good ph I am happy... And also updated to 4.4so not to talk about more this ph it's a best device..
Total of 199 user reviews and opinions for XOLO Q2500.